It’s no secret that when executed correctly, SEO (Search Engine Optimisation) can generate incredible marketing results. But SEO is like an art, that takes time to master, and in order to optimize your website and skyrocket your rankings, you need to know exactly how search engines work. When you rank for your business’ targeted keywords, you can attract lots of new customers and ultimately get more conversions for your business. As such, the first step for succeeding with SEO is identifying the keywords you want to rank for, then using effective SEO tactics to improve your rankings. Ranking well on search engines will drive relevant traffic to your website, and therefore, it can prove to be extremely effective in driving conversions. In recent years, publishing of relevant content on social media sites such as Facebook, Twitter and Linkedin has become increasingly important. Of course, this doesn’t really come as a surprise considering the fact that there are now more social media users than ever, and this number only continues to increase. Furthermore, social media will only continue to play an even more important part in our everyday lives. Social media is effective for SEO both direct and indirect. Social media can directly impact your site’s SEO, for example through ”social signals” and links, but it can also have an indirect effect on your SEO, for example, if you use it as a marketing tool to promote your website, and then get SEO benefits that way. This can be that you increase people’s awareness about your site so that they link to it, or that they start recommending or sharing your website. The bottom line is that if you are not implementing social media into your SEO strategy, and believe that there’s no room for social media in an SEO strategy, you couldn’t be more wrong, and you’re definitely missing out on tremendous opportunities. Start seeing social media as a great marketing tool, and make it a natural tool to leverage in your SEO efforts. If you learn better by watching a video, or if you want to learn more in-depth information about SEO, watch this YouTube video. You should definitely not underestimate the power of video in SEO. The natural thought that many people have is that ”the only thing worth paying attention to is text because the search engines cannot really read images or videos”. But what they’re missing out is that a successful SEO strategy puts the user and the user experience first, and the search engines second. Someone who thinks of SEO as something short-term and only tries to squeeze out the best results possible in the shortest period of time thinks search engine first and user second. The problem with this is that search engines rank your website and your pages based on how the users respond to it. And let’s not forget that humans are visual creatures. 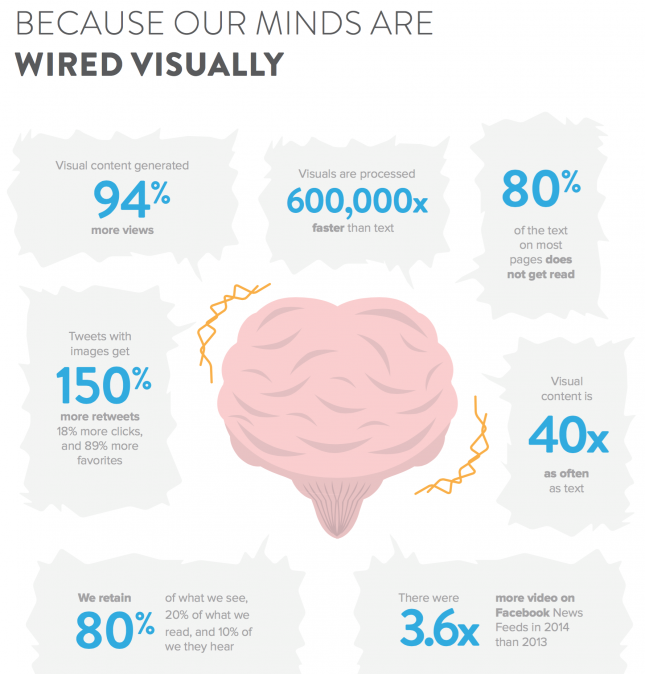 In fact, humans are visual creatures, and therefore, we’re wired visually. This also means that when you consider visual content, such as video content, you improve the user experience, increase time on your site, and as a result, you’ll see your rankings improve. Using videos is a great way to keep your audience engaged. All data show that Video content is hugely relevant and has a greater impact on visitors and users compared to regular text. For SEO purposes, video content leads to increased visibility on search engines. You may be surprised to hear that videos represent 62% of all searches on Google globally. In addition, Google has prioritized mixed search results, which means that there is diversification and a mix of video clips, news, and blogs on a single page, Google will pay attention to this and rank your site. In other words, not only can videos improve the user experience on your site and thus improve your rankings. The videos themselves can also rank, and thereby increase your site’s traffic as well. So our recommendation is that you integrate videos into your SEO strategy and make it a part of your ongoing SEO work. However, never see video alone as an SEO strategy, because it is all the ingredients together that make for a great result. In other words, activities such as writing blogs, external articles, and commenting on major relevant and international platforms. Don’t neglect local SEO in your SEO optimization journey. Now, what is local SEO? Well, two things. Local SEO is that people include the location of where they are because they’re looking for local places close to them when searching on Google. For example, If we are in New York and want to drink a cup of good coffee, then Googling “Best coffee” will present local results nearby – no matter if you include ”New York” or not. This, in turn, contributes to a general local search behavior. Therefore, it is our duty as a marketer and SEO company to work with local keywords and work actively with local SEO. Not only do you want to consider including the locations that you are targeting as keywords in your content, but you also want to optimize your website for mobile, and the reason you want to do this is that when people are out and about, they’re not using a desktop. They’re using a smartphone. …And this brings me to my next point…. Today, it is absolutely crucial that you optimize your website for mobile SEO. The fact is that more than half of all searches on Google are made on mobile. On the contrary, far from all websites are mobile optimized, which means that they either look very strange or are very hard, if not impossible, to navigate using a smartphone. Simply because the websites are made for desktop visits. In April 2015 launched Google’s major update, which briefly states that mobile friendliness becomes an incredibly important factor for ranking high on Google. 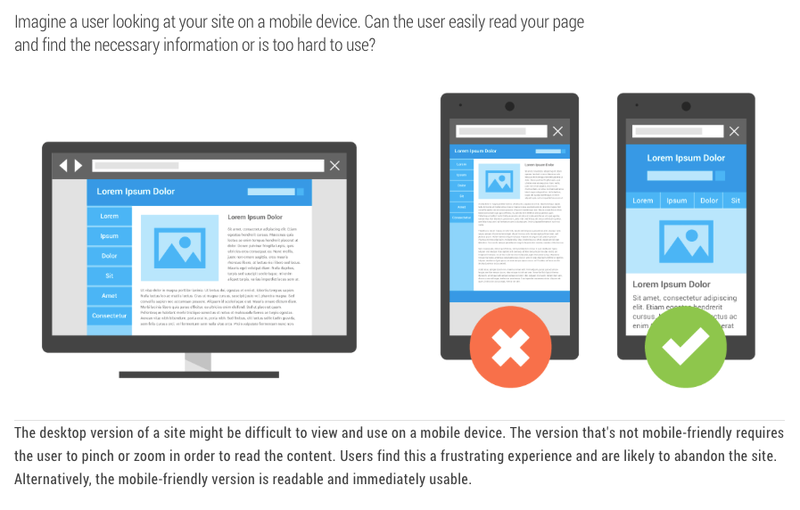 Google prioritizes sites that are mobile-adapted to those who are not in their organic ranking over the phone. Mobile usage and mobile searches on search engines will continue to play an even more important part in people’s everyday lives, and thus in the way they search for things, and therefore, you need to be prepared. The first step is by optimizing your website for SEO. SEO is a never-ending process, but if executed correctly, it can prove to have extremely effective results. But in order to succeed with social media, it is simply not enough to just learn briefly about how the Google algorithm works and then optimize your website accordingly. The tricky part really is to create an SEO strategy, consisting of lots of different SEO efforts that all complement each other, and help you reach the final goal.